is a general practice law firm established in 1989. The staff as well as the attorneys speak Spanish. All attorneys are licensed in Massachusetts and New Hampshire. Dixon and Associates has offices in South Lawrence, Massachusetts and Manchester, New Hampshire. Attorneys at Dixon and Associates represent claimants in New Hampshire and Massachusetts Superior Courts, District Courts, the New Hampshire Supreme Court, Massachusetts Court of Appeals, as well as administrative agencies, such as Massachusetts Commission Against Discrimination, New Hampshire Department of Labor, and Massachusetts Department of Industrial Accidents. 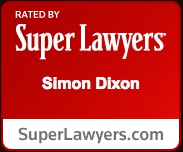 Dixon and Associates has handled more than 5,000 cases with great success. Most of the cases are worked on a contingent fee agreement basis, where a client does not have to pay unless they recover. However, contingent fee agreements do not apply to every case. Dixon and Associates has successfully resolved 95% of the claims the attorneys have handled through settlement and/or litigation.